It’s a little quiet over here right now while we’re in Kansas City for Quilt Market, but we’ll be keeping you up-to-date on Facebook and Twitter so you won’t feel left out. And in the meantime, here’s some fun news to keep you busy! We’ve really excited about an innovative new website that launched this week. Creativebug offers online creative classes in a wide variety of areas: jewelry, crochet, knitting, paper folding, printmaking, you name it. And SEWING! For a small monthly subscription fee you can take as many classes as you want–on your schedule. The workshops are beautifully produced (really beautifully produced), and they are full of great information. I had a wonderful time working with the crew that came out to our studio last month, and right now I have three workshops up on the site, with more to follow. In the sewing category, you’ll also see classes from Heather Ross and Cal Patch, and more teachers will be joining us soon. Each instructor has a trailer that provides a sample of the production quality of the videos and some background on the instructor’s approach to her craft. You can also watch the introduction to each online class before you decide to subscribe to get a sense for what each instructor is teaching. 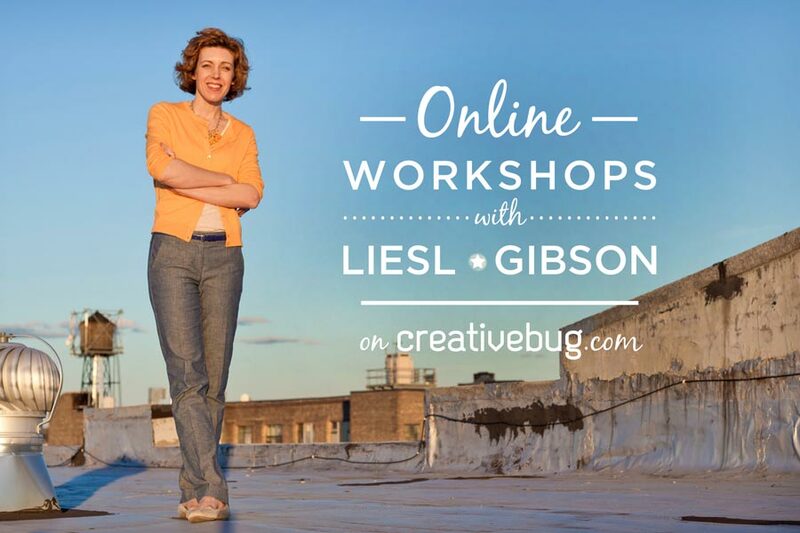 We’re very excited to be a part of the launch of this great new site and about the opportunities that Creativebug’s subscription-based model makes available. Here’s an example. Over the last couple weeks, I’ve been spending some time in the sewing section of the site, testing it out and providing feedback to the development team. One evening I showed the site to S, and we came across some of Jody Alexander’s paper folding courses. S went crazy over the projects, and she has been making adorable paper craft projects ever sinse. Who knew she was going to be interested in paper folding and that she was going to be so inspired by the projects she found there? That’s the beauty of the subscription-based model. It allows you (and your kids!) to explore other craft fields you may never have considered trying before. Check out the site, and have fun!